US cell phone carriers spend hundreds of millions of dollars touting that they cover something like 98% of the population. However, what carriers don't realize is that 82% of the globe is a cellular dead zone. Have you ever found yourself in an emergency wishing you could make a quick call? Millions of people ever day lack broadband or cell phone coverage when they need it most? However, only a handful of national carriers control the network and build-out of communications when it should be hundreds of small companies in control of regional communications. There are many solutions to the problem of fixing cell phone and broadband dead zone locations where no signal is present. Let the private sector fix these locations and get the carriers out of our way. Companies like Alpha Group in India are using solar to power remove wireless and broadband locations at a fraction of the costs that US cell tower operators charge for leasing space and back-haul. Most cell phone carrier networks require batteries and diesel-powered generators as sources of backup power for cell phone towers. These towers also require primary power in areas that are often remote. This is one of the reasons that their are millions of cell phone dead zones throughout the World and the United States. Fuel cells from companies like Altergy, Bloom Energy, P21 are have relatively low maintenance and have few moving parts for maintenance. 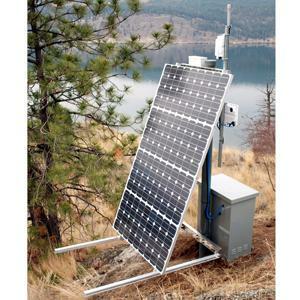 They can also provide power in areas that are remote and thus are not attached to the grid. The fuel cells could be a major factor in urban and remote locations that are often neglected by carriers for obvious reasons. Carrier only focus on locations to improve coverage where they have a critical mass of customers. So is it right to ignore these locations entirely if you can't feasibly put up a cell phone tower to service the location? This is one of the many reasons that the US government wants to encourage and often fund free wireless broadband.